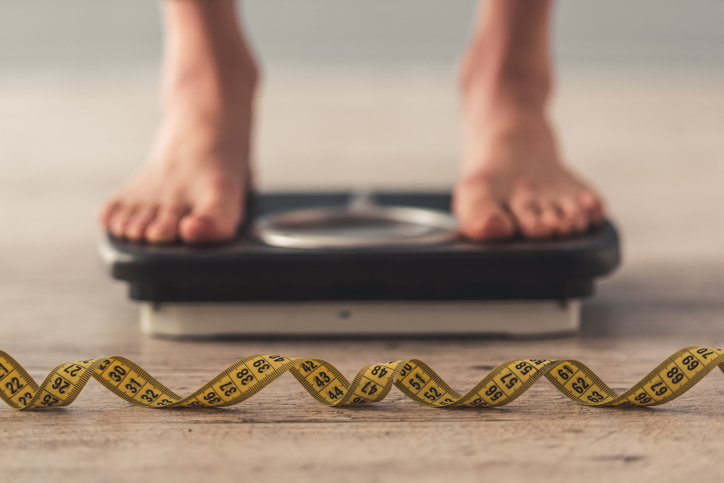 This article, by Nutrition Consultant and Pharmacist Ravi Bhanot, considers the question of how to lose weight naturally. Ask yourself “am I eating too much?” More often than not we ignore our inner voice and eat on even though we have eaten enough. Eat 2 handfuls as a first helping. This will fill 2/3 of your stomach allowing 1/3 for digestion. If you are still hungry, you may not have eaten enough or it may be a force of habit. Just wait 5 minutes. Sometimes the satiety levels in the brain have been reached and the hunger goes away. Otherwise if you have to eat, only do so up to a comfortable level. Try this for one week and see how your energy levels increase. A key concept in Ayurveda, a natural Indian science, is that we are made up of the 3 doshas or energies: Vata, Pitta & Kapha. A combination of these 3 energies are responsible for the makeup of our human body. Kapha Dosha is responsible for fat. It is the prevalent dosha in those who are overweight. So to burn off and lose weight, one must reduce Kapha in the body. Effect in body: calming and enhancing digestion. Effect in body: calming and soothing the system. Effect in body: taste stimulates digestion. Effect in body: creates lightness and clarity. Effect in body: decongests the system, increasing digestion. Effect in body: creates lightness. In the West, a balanced meal is considered to be one which combines carbohydrates, proteins, fats and so on. In Ayurveda, a balanced meal is one that comprises all six tastes. Rather than looking at nutritional labels for how much protein or carbohydrates there are in foods, the 6 tastes naturally guide us towards the nutritional needs of our body. Each food produces its own energy. How much of each dosha or energy our body produces depends greatly on how much of each taste we have eaten. Once ingested, tastes work on even after having been digested. They continue to influence our physical and emotional balance. More so than ever before, we are eating fast foods – pizzas, fried chicken, chips and tomato ketchup. These are unfortunately rich only in 3 tastes –sweet, sour and salt. They are all Kapha-increasing in the body. This causes the body to be nutritionally deficient. To reduce Kapha you want to increase your proportional intake of foods in the other 3 tastes – bitter, pungent and astringent. The answer is to eat more bitter foods such as green leafy salad and coffee, pungent foods such as hot peppers, black pepper, onions, garlic and ginger and astringent foods such as lentils, chickpeas, beans, yellow split peas, okra and turmeric. Alternatively you can use spice blends that have the correct spices in the right proportions that you can sprinkle on your foods to give you the Kapha balance. Certain spice blends can help improve digestion, maintain good digestion and hence maintain weight. 40-50% vegetables and some fruit. Focus on eating one main meal a day – either lunch or breakfast. Minimize snacking. If need be, have a dry cereal bar or salad. Sensitizing your taste buds of the tongue would help too in reducing the amount you eat before you reach your satiety levels in the brain. How you may wonder? Our tongue is distributed with taste buds. The tip of the tongue is concentrated for sweet taste, the back for bitter taste, the sides for sour, the surface for salty and there are a few receptors spread around for pungent and astringent foods. To make the taste buds more sensitive so that satisfaction levels in the brain are reached quicker, and to lubricate the taste buds, gargle with one teaspoonful of sesame and peppermint oil mouthwash for one minute and spit it out.